Links are to each hybridizer’s page on the Iris Encyclopedia. All seedlings, Region 21 or not, compete for the Lloyd Zurbrig – Clarence Mahan Seedling Cup. LeRoy Meininger’s seedling LM-14-03 was the 1st Runner-up for this cup. Thank you to all our hybridizers for the guest irises and congratulations to all the winners! One of the bonuses to being a host garden is seeing guest irises rebloom. Several different guest irises rebloomed in one or more gardens. You can see a summary including several photos of what was observed in the central Iowa host gardens as they prepare for next year’s AIS Convention “Rhythm of the Prairie” May 23-27, 2017. Check out the other details of the Convention while you are on their website. The AIS 2016 Convention Going East in 2016 has a number of speakers and events. The Convention website has the schedule, currently labeled tentative, here (found under the Convention selection), which does not yet list speakers and topics. Now many of the speakers and topics with dates and times are available in this 2016 AIS Convention Programs (PDF). It looks like a great lineup. You can still register for the Convention. Information is available on the Registration page which links to the form you will need. Paul Gossett, the Convention Co-Chair has an Invitation to 2016 AIS Convention (PDF). Region 21 is hosting the 2017 AIS Convention in Des Moines, Iowa May 23-27, 2017. Our next planning meeting for this is Saturday, June 6th. It will be a Region 21 business review and AIS 2017 Convention Organizational Meeting which is open to all interested AIS members. With the AIS 2015 Convention in Portland, we are not having a Region 21 Spring meeting. 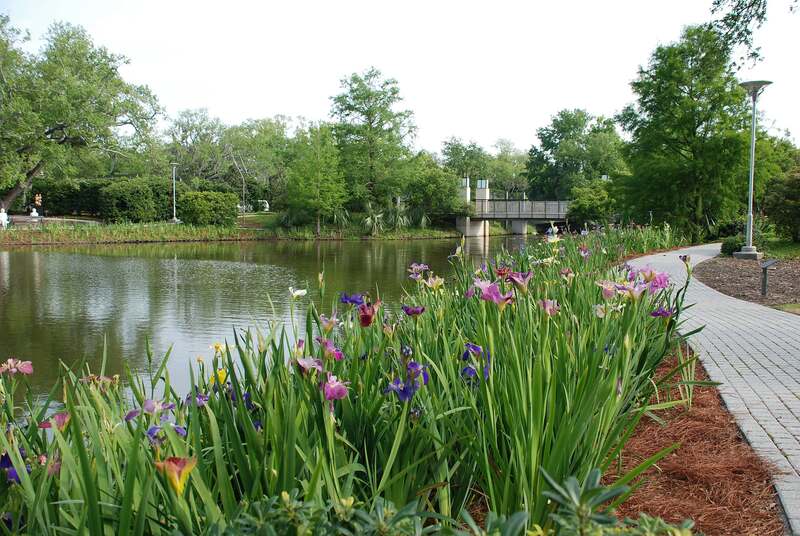 We hope many will be able to take advantage of the Portland Convention to enjoy irises and fellow irisarians. Immediately following it is the Siberian/Species 2015 convention. For those of us not attending, you can sample some of the gardens that will be visited with these videos. And everyone can start thinking about 2017 when we will be hosting the AIS 2017 Convention in Des Moines! “Based on popular demand, we have added a second bus to the Optional Gorge Tour on Tuesday, May 19, 2015. An all day tour with stops at the nationally famous Multnomah Falls, Bonneville Dam fish hatchery (trout ponds, sturgeon pond and the fish ladders-salmon migration), lunch at Riverside Restaurant, Hood River (Columbia River boat traffic and wind surfers), then south through the fruit orchards of Hood River valley with the final stop being at the Historic Timberline Lodge on Mt. Hood. Cost: $50.00 per person (includes lunch and bus transportation). Remaining seats on the bus will be on a first come – first serve basis. For tour registration contact Judy Nunn, Convention Registrar, email: Nunnjk@gmail.com or by phone: 503-390-3816.